As I said it can become difficult over the years. People on my age and I were cycling in our childhood even it was more difficult than nowadays. Even so, not all of us cycle everyday regularly. But we can get our children into the cycling habit encouraging them at least to go to school or anywhere possible by bike. If we make this enjoyable activity to our children’s habit, their future could be more healthy. There is no need to give any statistics about it, we all know obesity becomes devastating day by day and particularly kids are in danger because of it. With cycling habit it can be prevented. They should also make a walking habit. It will give them a healthier future, too. Diabetes is also preventable by cycling and walking. 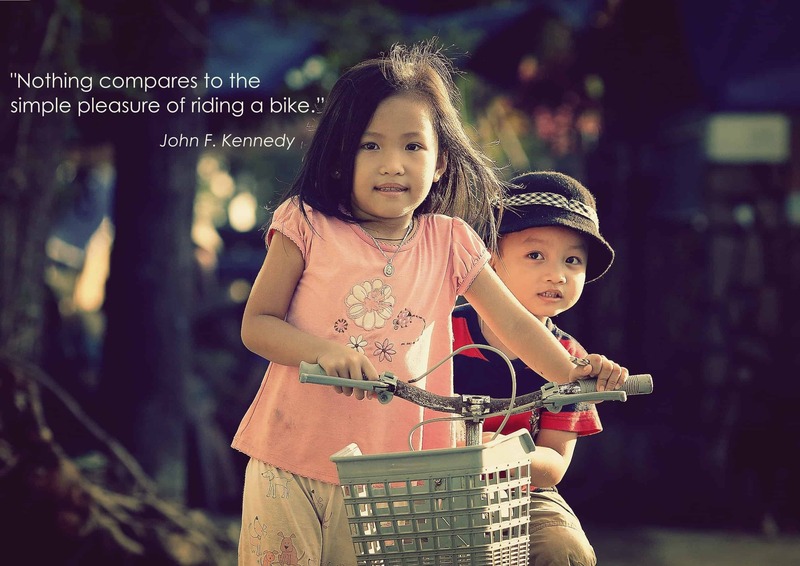 We can buy a bicycle to them within possibility, if there’s not. Even a cheaper one will be enough. Additionally we can also have a biking habit to be a model. Kids mostly imitate their parents. There are many families cycle with the whole family and I love them. What do you think about? Is cycling habit can be possible in childhood?